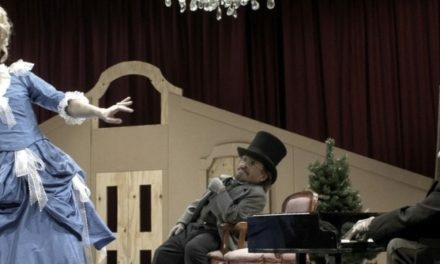 As a mid-December snow fell over the city of Kyiv, Ukraine, the European Theatre Convention (ETC) held a series of events related to its four-year-old “Theatre is Dialogue — Dialogue of Cultures” program. Anchored at the historic Kyiv Academic Molodyy Theatre, a few blocks from Independence Square, or Maidan, the presentations by and in support of Ukrainian theatre artists took place weeks after the Kerch Strait incident last year. 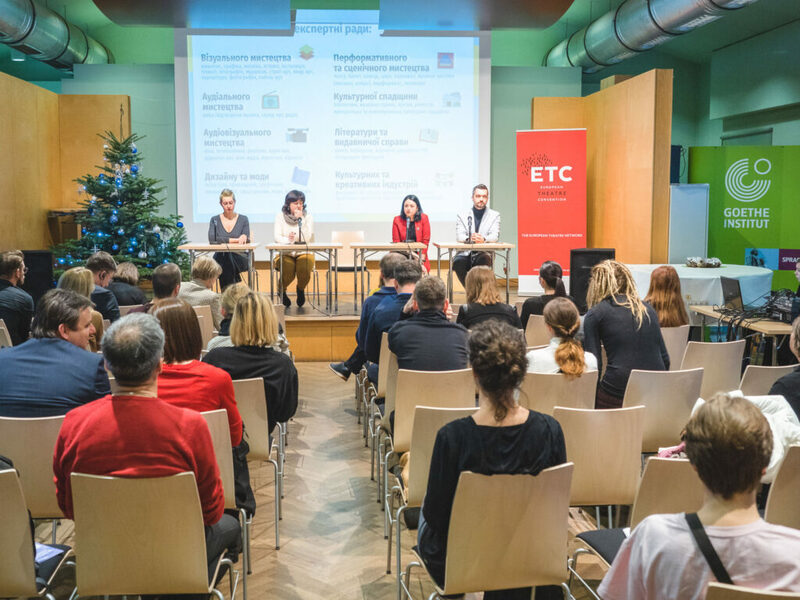 While the ETC, a network and platform for European theatres, is based in Berlin, the program and its perspective only confirmed all that Ukrainian theatre has to offer Europe and the world. 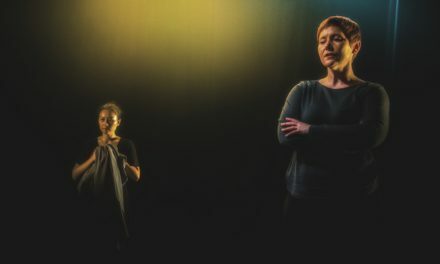 In June 2018, Elena Migashko of UkrainianTheater.com detailed the evolution of a “diverse and contradictory” theatre community that aligns closely with that of Ukraine’s own history, politics, and sense of self. (The article was published by IETM and reposted at The Theatre Times.) With Ukraine long pulled, like the surrounding culture and society, between what Migashko terms the “myths” of Eastern and Western identity, censorship under the Russian Empire affected all forms of Ukrainian cultural expression, including the language itself. Under the USSR, the state institutions built to develop, share, and sustain theatre simultaneously supported and stifled its potential, while a Ukrainian avant-garde emerged with the director Lev Kourbas. Independent creators, groups, and platforms burgeoned after 1991, when the country itself gained independence. Migashko cites the Center of Contemporary Art Dakh, founded in Kyiv in 1994, and its GOGOLFEST program as a source of new energy in Ukrainian theatre and other forms of art. True to the name of Dakh’s renowned folk music group, DakhaBrakha (which plays upon the words for “give and take”), the organization’s artistic, educational, and producing initiatives have served a dual function: to develop historical and contemporary Ukrainian performance traditions, but also reimagine and share them in the country and abroad. Migashko also notes the development of Ukrainian dance in this period, particularly through groups such as TanzLaboratorium and the work of Zeloynka-fest. From the events of the Orange Revolution in 2004 and 2005 to Euromaidan and the Revolution of Dignity in 2013 and 2014, Ukraine has experienced dramatic changes as a country and culture. By the end of this ten-year period, Ukraine had made strides toward cooperation with the West, particularly in the context of the European Union, when war broke out after Russia’s annexation of the Crimean Peninsula – a conflict the UN reports has resulted in the death of 13,000 people (RadioFreeEurope). Throughout this period, Ukrainian theatre artists across state and independent contexts have sought new forms of expression and modes of sustainability. In turn, national and international cultural institutions, including ETC, have offered them support — as they have grown in number. With the Ukrainian Ministry of Culture founded in the year 2010, the Theatre Platform NGO, a project helmed by young theatre critics for the development of the Ukrainian theatre scene, arose in 2013. The year 2017 saw the establishment of the Ukrainian Institute, with a mission to share Ukrainian culture abroad, while the Ukrainian Cultural Foundation, as well as the Guild of Independent Theaters in Ukraine, were established last year. Alongside these initiatives, local projects of the British Council, Goethe-Institut, Institut Français, and the Polish Cultural Institute have also sought to encourage theatre in Ukraine. 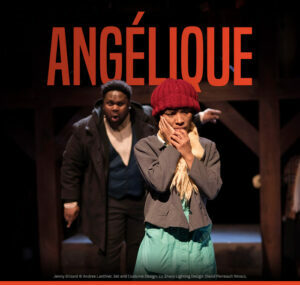 The British Council, for example, has supported 11 new productions in the country, including eight world premieres, through its “Taking the Stage” open call program. 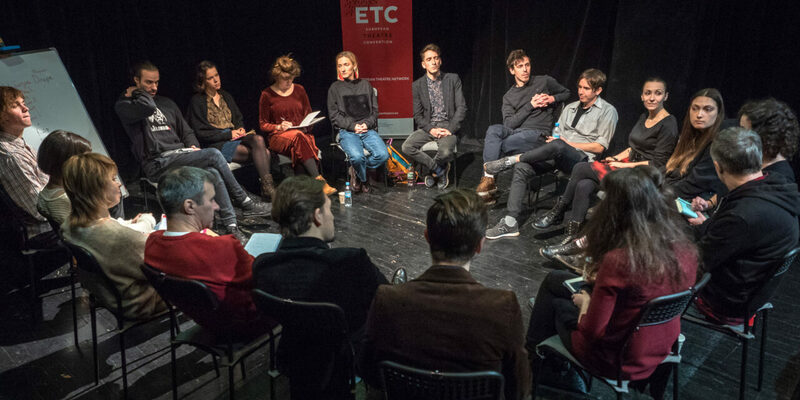 ETC’s December “Theatre is Dialogue” events illuminated the organization’s role as a locus of connection, conversation, and support for Ukrainian theatre at all levels. On December 11, an Alumni Meeting focused on the more than 40 residencies for Ukrainian artists that the project has organized since the year 2014. These have taken place at 11 of ETC’s member theatres in four countries. 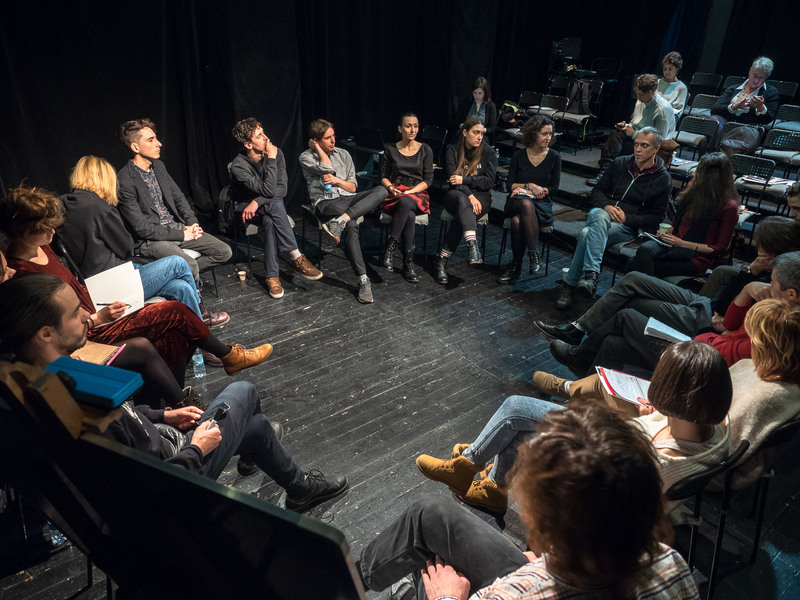 Significantly, the event came in response to the launch of a working group on Ukrainian theatre by the participating artists and represented the establishment of their own alumni network. The Molodyy Theatre, which served as host for the event, is, like Dakh, part of ETC’s European network. The December 11 presentations featured developments within and beyond Ukraine. 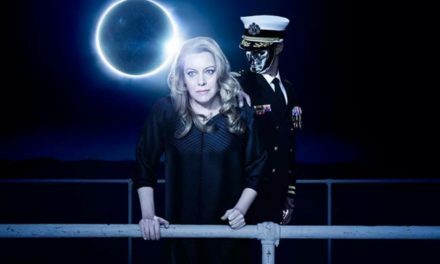 These have included performances, such as Tranzyt, by co-directors Katharina Schenck of Germany and Peter Cant of England and a company of Ukrainian actors. This piece was both developed and performed in Germany and Ukraine. Dakh’s GOGOLFEST has hosted foreign directors, such as Avatandil Diasamidze and Ana Tsutskiridze of Georgia. Other initiatives presented ranged from Deanna Aishe’s development of an English-language play at the Ivan Franko National Theatre in Lviv to the upcoming edition of Parade Fest in Kharkiv, which brings together artistic, educational, and urban development initiatives in Eastern Ukraine. Significantly, the results of a landmark collaborative research study, titled Ukrainian Theatre: In Search of Itself, were shared by Olena Salata, the project’s leader and the head of the Ukrainian NGO Cultural Assembly. The findings are now available online in both Ukrainian and English. The next day, ETC hosted “The Ukrainian Theatre Landscape and Its Future Development,” a forum for Ukrainian artists and cultural producers at Kyiv’s Goethe Institute. 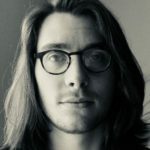 Here, speakers traced the evolution of established companies, contexts, and structures in Ukraine — such as the expansion of GOGOLFEST to regional festivals, the 2.0 launch of UkrainianTheater.com, and Open Theatre, where Ukrainian performances may be viewed online. The event also featured new initiatives, from the establishment of venues such as the Dovzhenko Centre Stage 6 to Kharkiv’s socially engaged PLAN B Festival, as well as the revitalized National Union of Theatre Artists of Ukraine (NSTDU). Project presentations by international cultural institutions and funders, as well as research by the European Association of Independent Performing Arts, confirmed Ukraine’s growing importance in their view of world theatre. True to the ultimate goal of these events — the production of theatre itself — the December ETC events were accompanied by a performance at the Molodyy of Stolpersteine Staatstheate, a performance of the Badisches Staatstheater Karlsruhe, directed by Hans-Werner Kroesinger and Regine Dura. 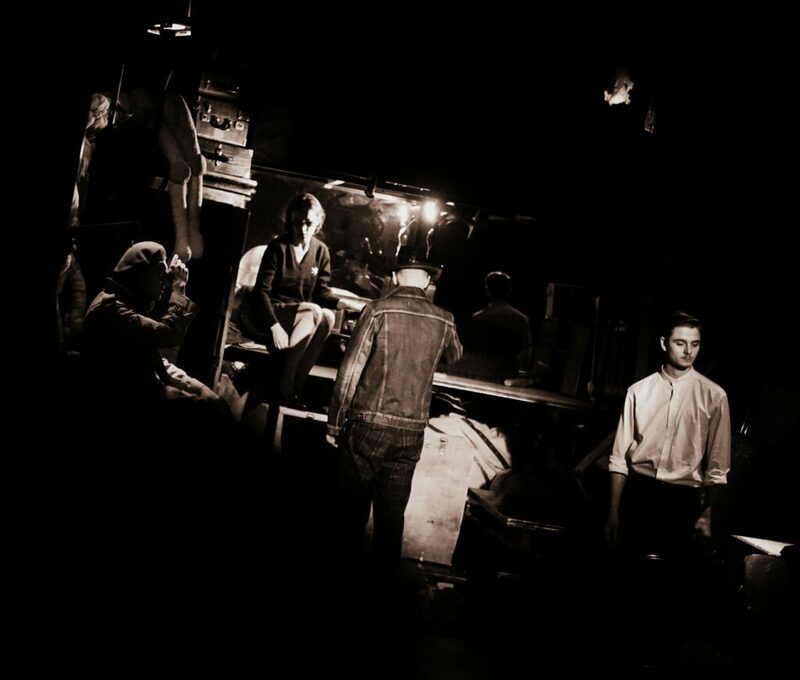 The show’s documentary approach to its public German theatre’s own history with respect to the Nazi occupation, as well as questions of memory and public space, raised questions relevant across cultures. 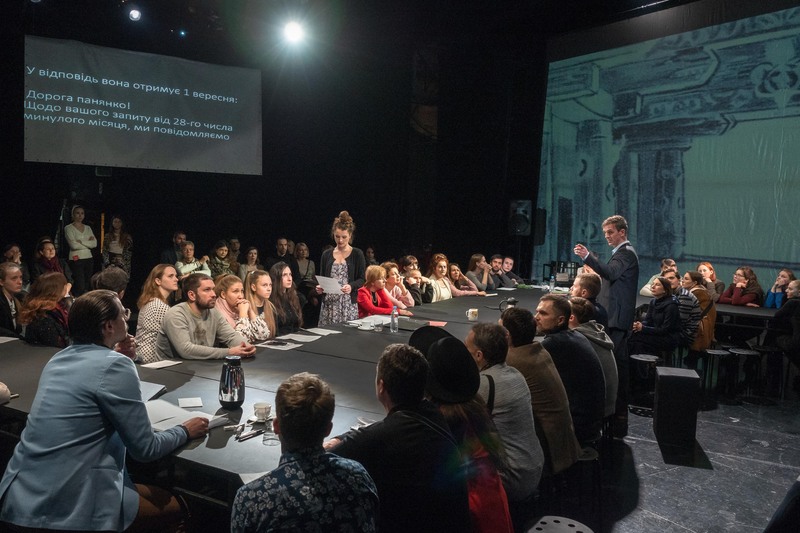 The production’s immersive staging, with Ukrainian supertitles, led to a poignant post-show discussion between the German and Ukrainian artists, with the help of interpreters. As the snow continued to fall, all of Kyiv seemed to shine with performances that lit up the winter darkness. The Molodyy saw Artistic Director Andriy Bilous’s production of The Unfortunate (ЗАЧАРОВАНИЙ) by the 19th-century Ukrainian playwright Ivan Karpenko-Kary. 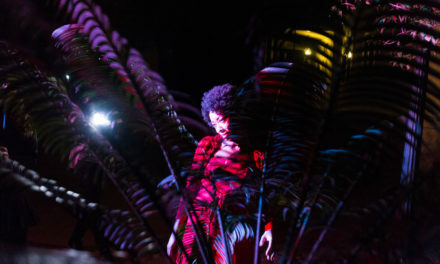 At Dakh’s theatre, the infectious TseSho cabaret — replete with puppets and references to social media — took the stage, fresh from an international tour. Wild Theatre, an innovative local company that often takes up Ukrainian plays in site-specific contexts, had a premiere and several other performances slated before the year’s end. In the months since the December ETC events, Ukraine has continued to experience change and uncertainty, as the war in the Donbas region continues into the fifth year. The Orthodox Church of Ukraine has formally established its independence from Russia. Amnesty International renewed a call for justice in the deaths of the “Heavenly Hundred” protestors, five years ago this February, at Maidan. Now, as Ukrainians and the world await a presidential runoff in Ukraine, its relationship to the EU and Russia remain familiar political pressure points. In her article last year, Elena Migashko calls the question “What does it mean to be Ukrainian?” the most “painful and acute topic” for the country and theatre, but also an opportunity for “dialogue.” Today, Ukrainian theatre artists uniquely occupy and attract such opportunities for a conversation that is at once creative, social, and political, valuable to their community and to theatre beyond it. With new sources of support, both national and, like ETC, international, their work stands as a vital force in international theatre — one always, if ever more worthy of the world’s attention.